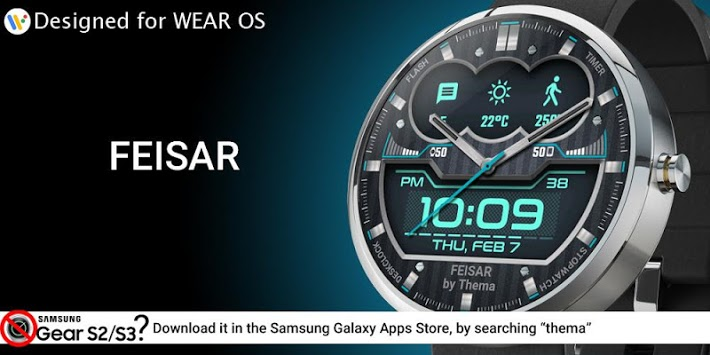 Feisar Watch Face for Wear OS! Don't have a Wear OS watch? You can still use this watch face as a clock widget on your mobile! If you have one, do not install this application. 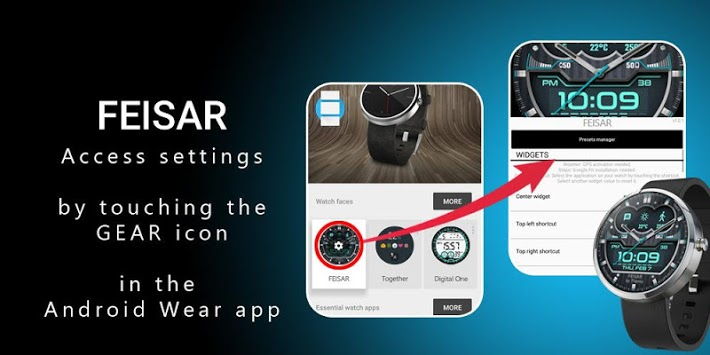 The settings of the watch face are located in the "Wear OS" app of your mobile. 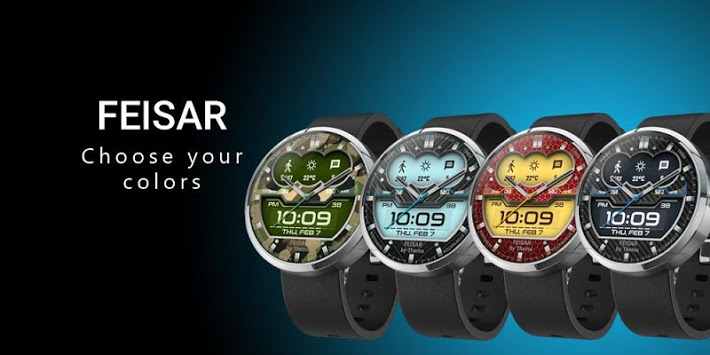 - Choose your own title in place of "FEISAR"
If it doesn't show up please go to the Wear OS App > Settings and Resync all apps. A notification will be displayed on your watch, right after your mobile installation. You just have to hit it to start the installation process of the watch face. If the notification did not display for some reason, you can still install the watch face by using the Google Play Store available on your watch: just search the watch face by its name. Just long press on your launcher, then select the application widget to drop it on your home screen of your mobile. Customize the widget settings with the application.